Our voice reflects our emotions. Have you ever encountered somebody who was really scared, or who was trying to control others, or who was feeling down? Have you noticed their voice is more monotonous, more constricted, less variety? That’s the expression in our voice of our emotions. Now what happens do you think if we change our emotions? Have you heard a child laugh? 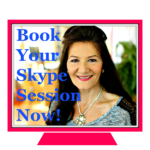 Have you been with a person who just received wonderful news, or who is really rested and relaxed, where their voice is, how relaxed it sounds, how many tones it might have, how authentically it expresses what the person is saying? Because there are the words we say, and then there are those gestures that yours truly is really into making for some reason, and then there’s the tone in our voice. This disconnect, we feel it don’t we? So, for your own life, create authenticity in your life. Transfer it into your breath and then express it with your voice, so that in every moment or at least in as many moments as you can, your voice and your breath express exactly where you’re at, exactly the emotions you’re feeling, the thoughts you want to get across, all right? It’s this immediate continuity, if that makes sense, that we want to feel from somebody. So, guess what? Guess how you can get that? Take a wild guess! 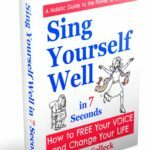 Yes, you could start by reading Sing Yourself Well, you could then get online and download the course Sing Yourself Well in 7 Seconds. 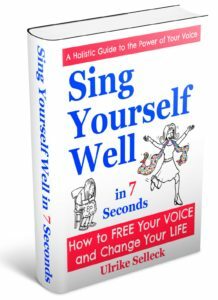 In it you will learn the 7 qualities of wellness you have to have, in order to be well, you have to have in your voice and your breath in order to create authenticity. 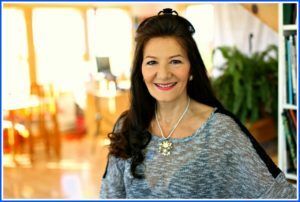 And once you’ve learned those seven qualities – and you will learn them in successive seven steps within the course of two hours or so, that’s how long the course is, – you will then be able to – within seven seconds – when you practice these seven steps your body will experience the seven steps of wellness, the qualities of wellness. In those seven seconds you will feel better. If you’re in a slump, you will suddenly have more energy and feel happier, the people around you will feel your energy has changed, you’re able to focus more easily, you have a little bit more distance from what you were just worrying about, and in general it will create health and happiness and energy and clarity and flow and communication and power in your body in seven seconds. Just imagine, I mean how hard is it to sacrifice seven seconds of your day? Not so hard, right? 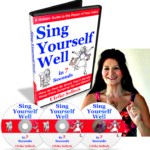 So go to my website Sing Yourself Well. The course is on sale for $197. I can’t wait for you to learn it. I can’t wait for you to experience it, and please give me feedback once you’ve learned and practice it and actually use it in life. How it has impacted your life how it’s changing your life, how it’s changing your emotions, in seven seconds. Thank you for listening. Your voice is a tool for healing. Your voice will express your emotions, whether you’re aware of it or not. 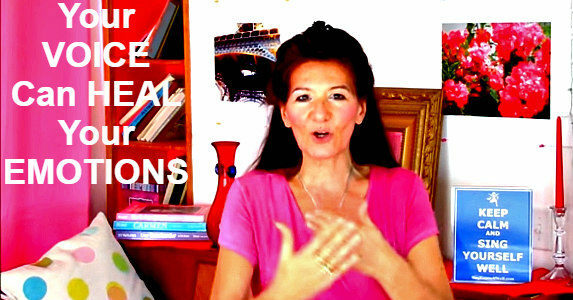 Might as well be aware of it, and use your voice, not just to express emotions, but also use your voice to have the emotions you want to have, simply by learning these seven steps. 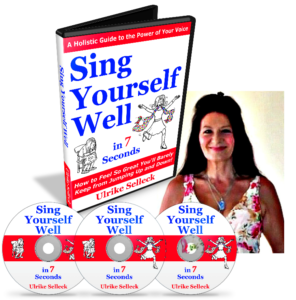 Sing Yourself Well in 7 Seconds system is now available on sale for an introductory price of $197 dollar.